Thank you for joining us for the Pals Halloween Blog Hop. We hope you enjoy our virtual trick-or treat hop where you will either learn great tricks for your creative projects or enjoy a blog candy treat. You should have just left stop number 15 on the Pals Hop - Nancy Gleason at My Stampin Space. If so, you are in the right spot. 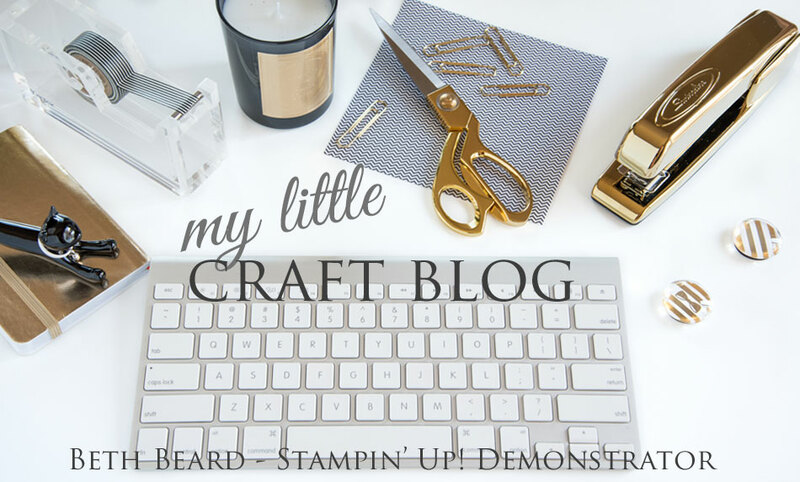 If you get off track, the full blog lineup below will help you move along from blog to blog so you see all of the amazing creations. 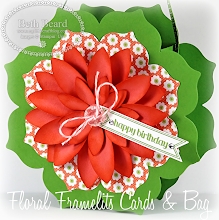 I made a scallop circle easel card using my new fave, Modern Medley Designer Series Paper. Sponged some clouds in Daffodil Delight, Pumpkin Pie & Baked Brown Sugar Ink, using a scallop circle as a template. Heat embossed the sweet , little witch from the Halloween Hello Stamp Set in Black Embossing Powder. The flowers were made with the Boho Blossoms Punch and cut the leaves using the Little Leaves Sizzlits Die. To give the leaves & flowers dimension, using the Simply Scored Stylus and the Stampin' Pierce Mat, I worked the stylus in a circular motion over the flowers and leaves. Tip: The flowers and leaves will hold their shape and not be so delicate, if you very lightly mist with water and let dry or speed dry with Heat Tool. 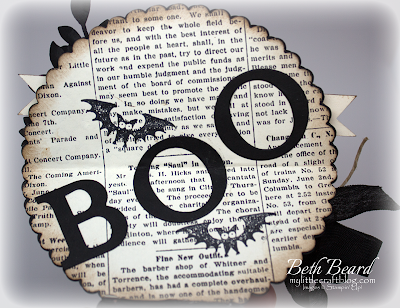 "Boo" to you is what you see when the card is fully opened. 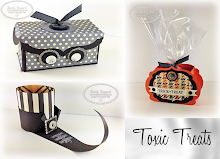 My treat for you is Stampin' Up!s Pumpkin Pie Goodie Gear Simply Created Kit. 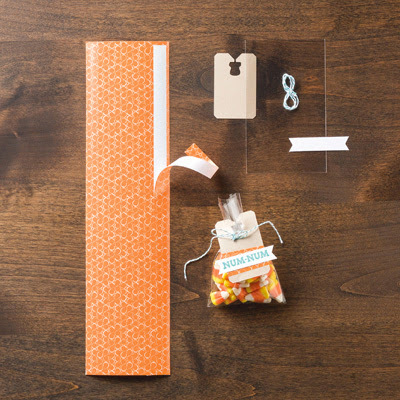 Kit includes elements to make 10 goodie bags: die-cut Kraft tags; printed, die-cut banners; stickers; Bermuda Bay Baker’s Twine and 3" x 5" Cellophane Bags. Just leave me a comment by midnight 10/10/12. One lucky winner will be announced on Friday. Limited to US residents only. 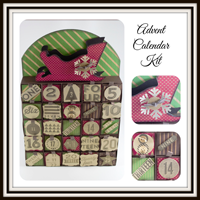 The next stop is Linda Callahan at Stampin' Seasons, stop number 17 on the Pals Blog Hop! Thanks for visiting – and I hope to see you next month! Adorable - love how you did the clouds behind witch too! Love your card especially those wonderful colorful clouds! I think I need to make this card! Thanks for the incredible inspiration. Super cute card!!! Great tip about the flowers/leaves. Awesome card. Perfect to display as home decor also. Oh I love your card! It's vintage meets modern and it's just beautiful! thanks for sharing. I SO enjoy your blog! Love this card, especially the cloud technique....perfect effect. Oh my word - what an awesome card. 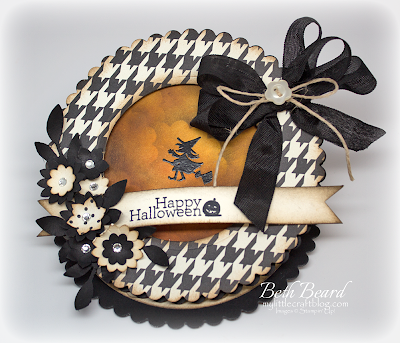 I especially love the little witch in the center of it all - this is a "wow" card for sure ! Very cute card, I'm gonna have to do an easel card some day - you made it look wonderful! A great centerpiece! Thanks for the chance to win. I love this! The orange sky is a wonderful touch! What a gorgeous and creative card! I love all of the details you incorporated (the clouds are amazing!) and the helpful trick to work with the flowers. Thank you so very much for sharing! Wow....Absolutely gorgeous! Everything is just so amazing and perfect. I absolutely love that orange cloud background. Wow! I never thought of flowers on a Halloween card before. Even your bow is stunning! I haven't made an easel card yet; but, now I want to try it. Thanks so much for sharing! Lynn G.
What a great easel card! Love the witch and bow on the front and the BOO inside. Thanks for sharing this with us. 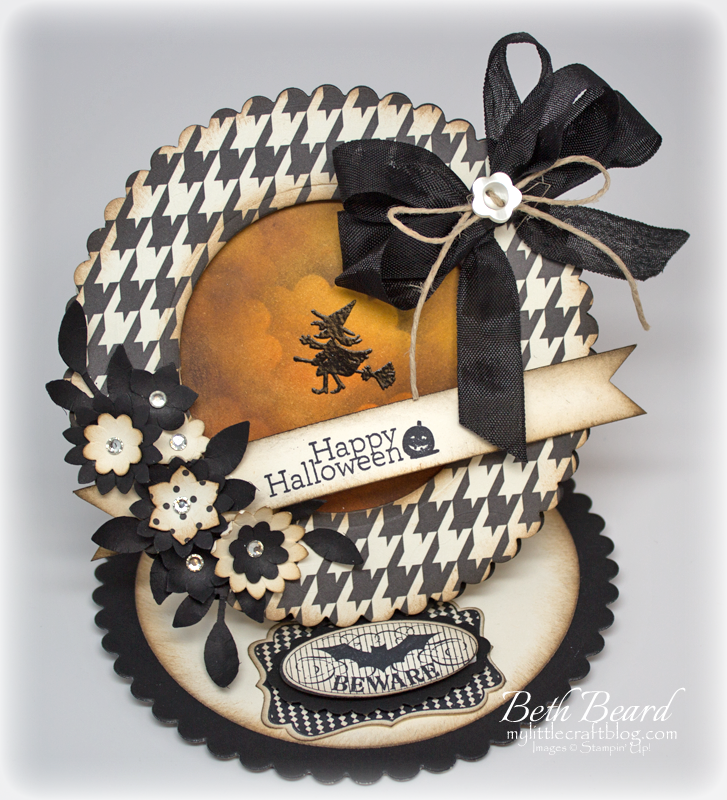 What a pretty Halloween card! 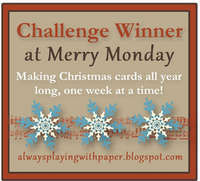 Thank you for sharing such a pretty card! Now I have to try an Easel Card! Gorgeous! Thank you for sharing! Beth: This is absolutely boo-tiful! So classy & elegant. I love it! Love your card and ideas! Thanks for sharing! I love this card! Thanks for a chance to win! OMG just LOVE this card! Your coloring is fantastic! hugs. Your card is both clever and beautiful. I've got to try and make that. I'm blown away by your creativity. Thanks for the opp to win too! Super easel card. Love the pretty embellies on the front and the surprise boo. I love the stand up card... Love the embellishing! Love this card! Thanks for the idea on the flowers to make them sturdy and a chance to win!! I love this card. The sponging on orange gives it a halloween look. I would never have thought to do this! I love your card! Its beautiful! Great card--I like the Boo inside.